A fun custom safety keychain. 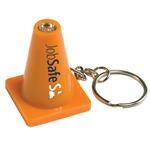 This "Safety First" cone keyring features reflective PVC material and offers High visibility which makes finding keys in any bag simple! 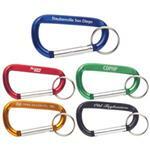 This tradeshow giveaway offers a 1 inch split keyring with 1 3/8” long metal link chain. 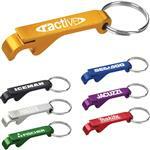 In addition to keys this piece is perfect as a zipper pull. 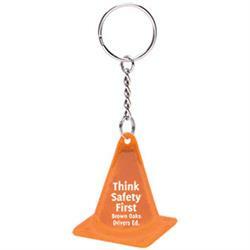 We love this safety keychain. Dimensions: 1 3/4" x 2" x 1/16"
Typical Imprint Area(s): 1.25" x .75"
Silkscreen. 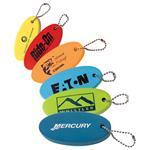 Price includes a one color imprint/one location.